HOLIDAY FABRIC 20% OFF TO EOY! 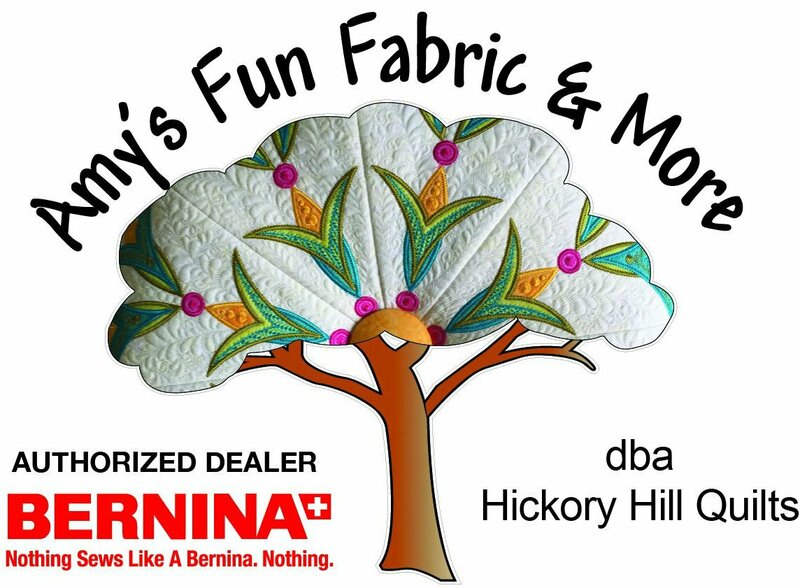 BERNINA & HICKORY HILL TEAM UP!!! 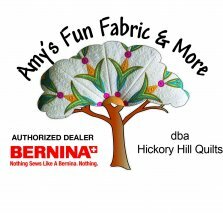 Bernina has multiple overlapping holiday promotions - so plan your shopping wisely! The Anniversary Bundles are still for sale till they run out. The 880's are so low in availability we would have to coordinate a dealer swap to get one quickly if Santa has one on your Christmas list! The Anniversary Edition of the 790 still has some openings. 770's are sold out. I have one left. Get them while they last! I've added a holiday shopping spree from Hickory Hill! 25% off Accessories: thru 11/30 Magnifying Lens Set; 12/1-31 Multi Spool Holder! 12/18-31 25% off Feet, Hoops & Software! 11/27 – Open Sew & Pot Luck Day! Ham & Trimmings! 12/11 - NOTE OPEN SEW AND POST LUCK MOVED TO 12/18 DUE TO CLASS SCHEDULE. 12/15 - Open Sew & Pot Luck Day! Moved from 12/11 to make room for the second day of the table runner class. Pizza Day! 12/14 - 12/31 - HICKORY HILL IS CLOSED FOR CHRISTMAS AND INVENTORY! See you 1/2/2019! We have some fabulous fabrics arriving this week from market! We also have the long awaited collection from Jason Yenter, Diaphanous, in route to the store! I am so excited for you to see the new collections. The 2019 calendar and our community services Block of the Month of children in long-term care will be announced shortly! We hope everyone will sign up for this great cause! This is our web page link! Go to the Calendar Header and you will find the calendar month by month. Underneath it on the right is a printer button. It can be printed!